General TV Channel / CHCH-DT, virtual channel 11 (UHF digital channel 15), is an independent television station licensed to Hamilton, Ontario, Canada. The station is owned by Channel Zero. CHCH's studios are located near the corner of Jackson and Caroline Streets in downtown Hamilton, with additional offices at the Marriott on the Falls in Niagara Falls, Ontario. Its transmitter is located at 481 First Road West in Stoney Creek. The station signed on the air on June 7, 1954, operating as an affiliate of the Canadian Broadcasting Corporation (CBC). Its studios at 163 Jackson Street West were previously used by CJSH-FM. 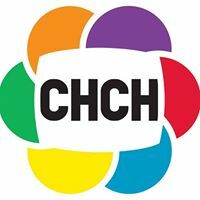 After CJSH's shutdown, its studios were converted for CHCH. It is the oldest privately owned television station in the Hamilton-Toronto area. At the time, all privately owned television stations in Canada were required to be CBC affiliates. CHCH-TV was founded by Ken Soble, a leader of Hamilton's urban renewal movement, and owner of radio station CHML (900 AM).